We recently had a visit from 3rd class of the local Gael Scoil along with their teacher Siobhan and local historian John Young. 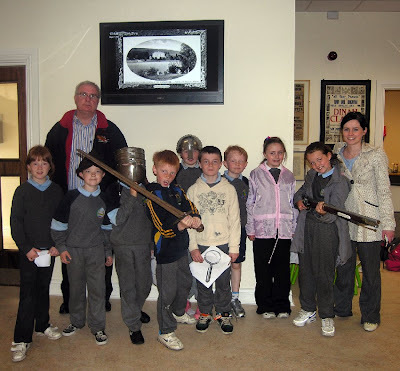 The children were very interested in the many artifacts and photographs on display and had many questions to ask They showed a great interest in the Edmond Keohan photographs as they identified many of the places, comparing them with how they look today. As usual our handling area proved to be a big hit with the children and as did the colouring area, with many of the children taking a picture home with them to colour at their leisure.